Right below the 2.0-megapixel camera is the onboard speaker. The dimension and design of the W810i is very similar to the K750and W800i. 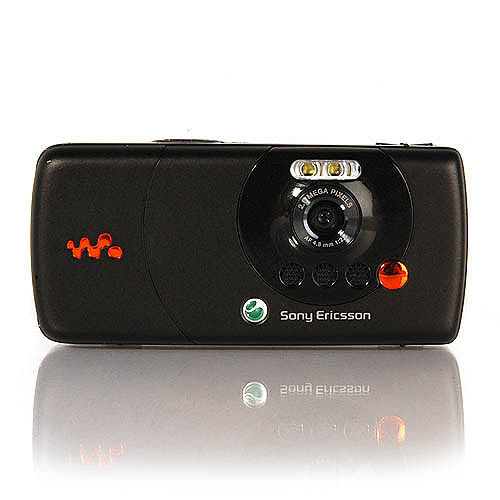 The W810i is perhaps the last phone from Sony Ericsson to use Memory Stick Pro Duo. Gone are the days when mobile phones were just simple communication tools. Just take a look at the newer phones available in the market today and you'll see that their selling points are mostly anything but communication driven. 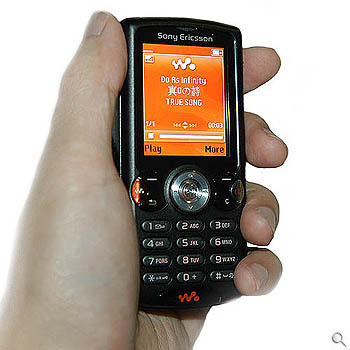 Good examples are the K750i and W800i from Sony Ericsson. Just few months old, these "communication tools" are equipped with a whopping 2-megapixel CMOS built-in camera and music playback support. 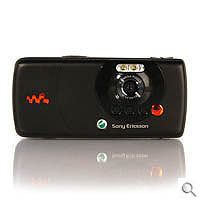 They also offer expandable memory slot using Memory Stick Pro Duo for storing music and photos, competently doubling up as a basic digital camera and music player. And if you thought the K750i and W800i were brilliant, then the new W810i is just going to blow you away. 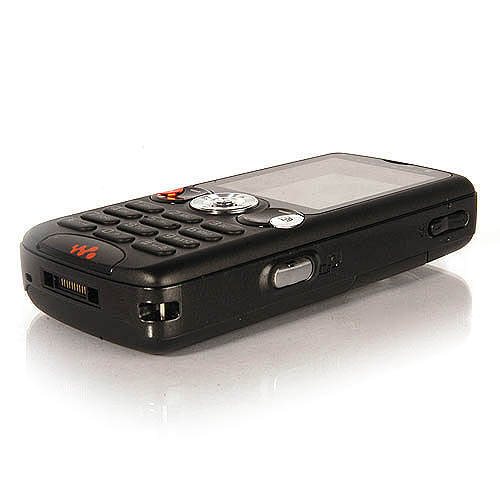 The W810i is very similar to the K750i and W800i. The dimensions, location of memory slot and the positioning of a number of buttons are all familiar attributes. The one notable change however, is that the dedicated WALKMAN button has been moved away from the main keypad area and into the left flank of the W810i. Also, a 5-button cluster for previous/next track and play/pause functions has replaced the old bi-directional navigation thumbstick. Overall, the new layout is pleasing to the eyes with navigation now a little easier than it was on its predecessors. The strength of W810i is its ability to playback music with quality that is almost as good as its dedicated WALKMAN counterparts. Navigation is very similar to the iPod: songs can be selected according to artiste, album and play list. The W810i supports a wide selection of audio formats including MP3, MP4, 3GP, AAC, AMR, MIDI, IMY, EMY and WAV (16kHz maximum sample rate). Even with just one speaker, volume output was loud enough to match the dual-speaker configuration found in the W600i, but where fidelity was concerned, the W810i was not as lively because 'Stereo Widening' is not available. For audio enjoyment on a personal level, the W810i comes with a pair of high-quality stereo in-ear earphones, the HPM-70, which is also an external microphone. Disappointingly, even though the W810i is marketed as a music camera phone, A2DP Bluetooth profile for Bluetooth stereo headphones is not available. Even though the W810i features a 2.0-megapixel CMOS sensor, photos and videos did not turn out as well as expected. Stills taken by the W810i looked good on the LCD display but noise was immediately noticeable when images were transferred and viewed on a PC monitor. There are only two video resolutions: small (128 x 96) and large (176 x 144). Videos recording using "High Quality video" at high resolution displayed pixilation and were choppy at best. Like the K750i, there is an interesting video effect called "Solarize" that captures video using cell-shading in real time to give the impression of hand-drawn animation. By packing EDGE and Quad-band support, the new W810i is able to provide faster downloading and web surfing speeds, and wider network coverage over its predecessors, giving it more versatility and relevance in today's highly developed infocomm world. Music playback offered by the W810i is arguably one of the better ones in the market but that can't be said for its imaging performance - it's just not as impressive as the K750i and W800i. Sadly, the W810i is neither a 3G handset and nor does it come Bluetooth A2DP profile, which would have made it more appealing for owners of either the K750i or W800i to switch over to the new W810i. Nevertheless, if you have been holding out for a handset with decent imaging and audio functions, the W810i is currently one of the best options around – that is until the new K790i/K800i with 3.2-megapixel CMOS cameras that are due to arrive in the later half of 2006. Camera: 2-megapixel CMOS. Takes up to 1632x1224 pixels with autofocus, video and flash. Memory: About 20 MB internal shared memory. 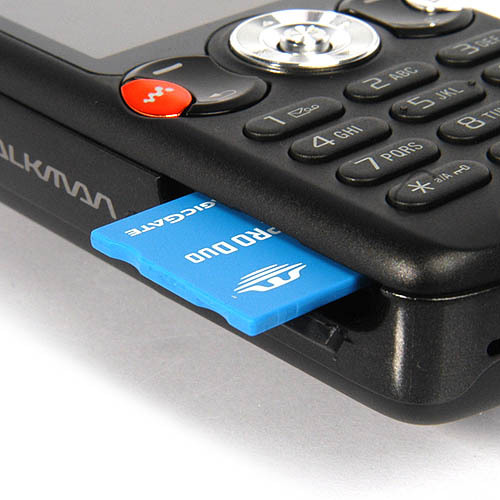 Uses Memory Stick Duo Pro (up to 2GB). 512 MB card included.